Cala Sant Francesc is one of the most beautiful coves in the whole Costa Brava. With crystalline waters and located between a pinewood. It is an exclusive beach and offers parasols, baths, showers and lifeguards. It is a family beach and offers the possibility of water sports like water skates. The villas of Cala Sant Francesc are categorized with high standing and with spectacular views that you will not want to say goodbye to. Are you already preparing the next vacations on the Costa Brava? Today we want to leave you a selection of the best villas on the Costa Brava for Easter. 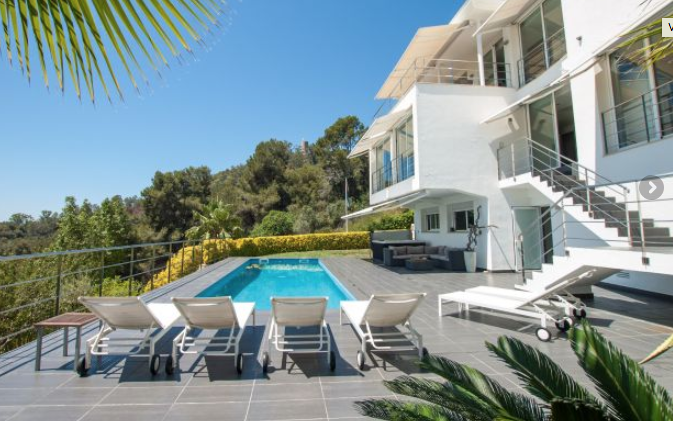 Villa El Olivo is the ideal villa on the Costa Brava for Easter. Recently renovated and located on a plot wool with a private garden in a totally unique environment. With capacity for 8 people and ideal for families with children, since it is located a few meters from the beach. The most spectacular modern villa in Cala Sant Francesc, is and will undoubtedly be the perfect house for your vacations on the Costa Brava. All rooms have beautiful views of the pool and the sea. The pool is semi-salty and has a lounge corner with Jacuzzi for 4 people. These three villas on the Costa Brava to enjoy in Easter are the perfect place to disconnect and enjoy a unique and exclusive territory. Complete your stay with walks along the round roads, watching its spectacular sunsets. And do not worry about your hairy friend… There are houses that are ideal for sharing your vacation with them. You can see them here.